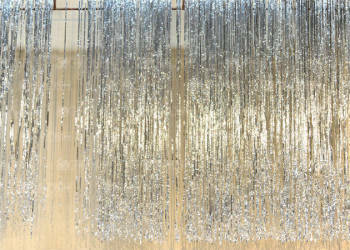 Silver Strip Curtain. This drape has webbing across the top. It is also missing strips, missing tie lines and the stage right side strips are shriveled up. Gold Satin Contour drape. There are rings sewn into the drape about every foot at the top. 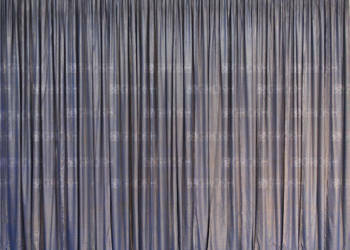 The drape also has dirt stains at the very top and on the stage right side. Copper Satin Border. Very shiny when lit and there are two stains that are hard to see. Copper Satin Border. 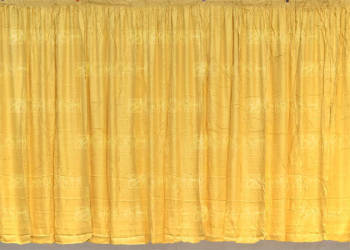 This drape has 5 small stains that are not very noticeable and will hide in the folds. Copper Satin Border. 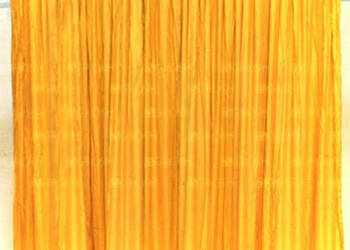 This drape has small stains throughout that are hard to see once properly lit. The fabric is wrinkled and shiny. Blue and Silver Lame Contour. This drape has rings from top to bottom on both sides. 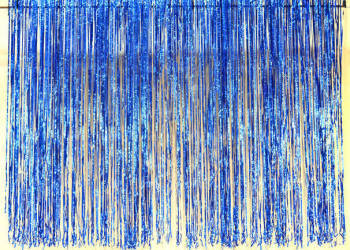 Blue Rain Curtain. This drape is missing a lot of strips and many of them are short. There is also no jute webbing at the top. 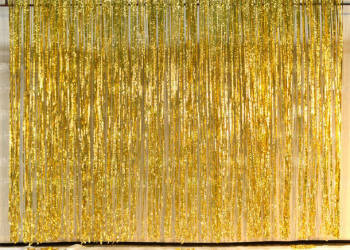 Gold Rain Curtain. This piece is missing 6 inches worth of strips at the webbing on top. 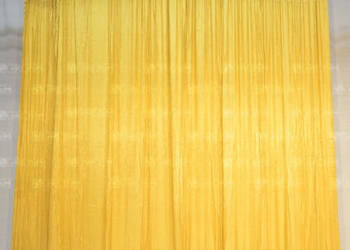 Gold Satin drape. The item is pleated at the top and the fabric is brittle. Stains are scattered around the drape, primarily at stage right. Gold Pin Dot Satin. The fabric is brittle, torn and yellowed at the top. The bottom pipe pocket is dirty.